The real problem with Google's take on 3D Touch? It tries too hard to emulate Apple instead of just focusing on good user experience. 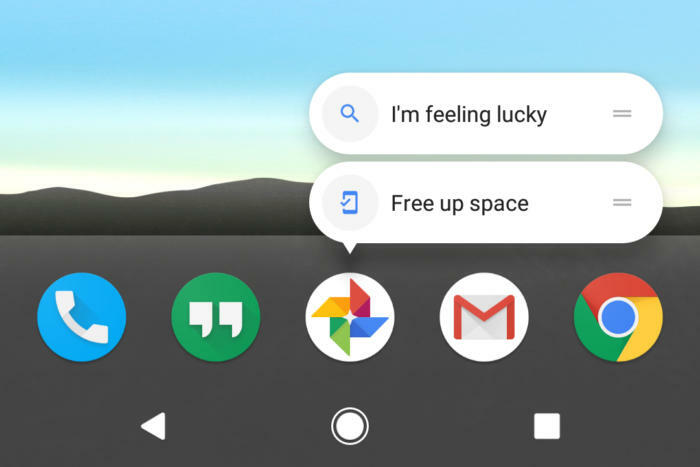 If Android's new App Shortcuts seem familiar, they should: The feature, introduced on Google's Pixel phone as part of this fall's Android 7.1 Nougat release, is a pretty obvious response to the 3D Touch system ushered into Apple's iPhones over the past year. Maybe it should come as no surprise, then, that Google's take on the concept shares the same usability flaws as Apple's -- because instead of thinking through what'd be the most sensible and user-friendly way for a feature like this to work, Google seemed to just emulate the way Apple did it. Don't get me wrong: App Shortcuts have an awful lot of potential. It can be really handy to jump directly to doing something like calling a favorite contact from your home screen, for instance, without first having to open up the Phone app and navigate to her name. And though such possibilities have been possible on Android before, having them natively integrated into such a core part of the interface is a whole new game. But having lived with the feature on the Pixel for nearly a month now, I've found that the current iOS-like implementation presents a couple of major problems. 1. There's no visual cue telling you when App Shortcuts are available. This issue actually exists on two separate levels: First of all, most users -- those who don't follow Android news closely -- are never going to know App Shortcuts are even there in the first place. Their presence is completely hidden, with no visual cues whatsoever; you'd have to happen to long-press an icon to find them, and even then, you might not fully grasp what happened or why those items appeared. Users who know about the options are likely to forget they exist and underutilize them, too, as often happens with non-obvious commands in a user interface. Out of sight, out of mind -- it's a very real phenomenon. That gets back to a broader problem I've pointed out with Android before: The platform is slowly sliding back into old bad habits. Early versions of Android had lots of hidden commands and out-of-sight options. Google dedicated itself to fixing that for a while but seems to have reversed course and moved back into difficult-to-discover terrain as of late. And in this case, there's a second layer of complication: Even users actively seeking to interact with App Shortcuts are continually left guessing -- because not every app supports the feature, and there's no obvious way to know which ones do and which ones don't. That means you're forced to use trial and error to see if App Shortcuts are available for any given icon on your home screen -- and to continue checking back periodically to see if anything's changed. The perfect example came up about a week ago, when Twitter quietly added support for App Shortcuts into its Android app. The company didn't so much as mention the addition in its Google Play Store changelog, so even those of us who closely monitor such things had no idea it had arrived. I only discovered it because I happened to see a tweet from an Android exec mentioning the change. The solution to this issue is simple: Implement visual cues for App Shortcuts. It doesn't have to be anything grand, but something that tells a user more options are available within an icon. 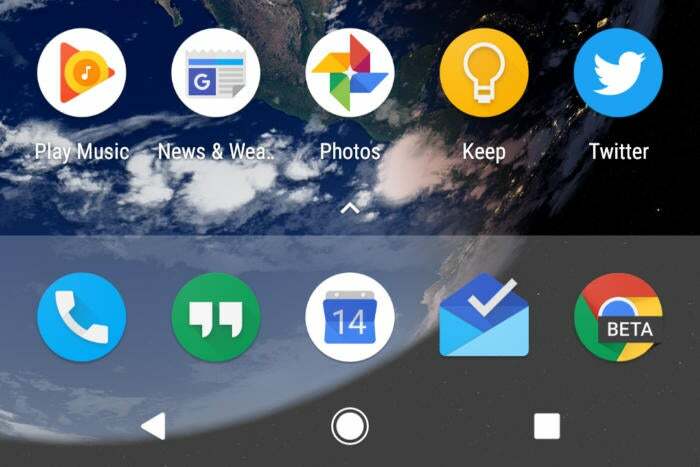 For inspiration, we need look only to the third-party Android launcher app Action Launcher, which has long allowed users to embed folders or on-demand widgets into regular home screen icons. It'd still take a little explaining to let new users know what that badge indicates, of course -- which Action Launcher also does, as you can see in the screenshot above -- but once such knowledge is established, you'd have a simple way of seeing and immediately knowing when more options are available. And believe me, that'd be a positive change -- because no matter how you look at it, randomly long-pressing icons to see if anything happens just isn't a great user experience. 2. Long-pressing an icon isn't the best way to get shortcut-style options. Yes, it's the closest thing to Apple's 3D Touch implementation, but that doesn't mean long-pressing an icon to get more options is ideal. In fact, it's quite the opposite: It's unnecessarily awkward and difficult to do. The reason? Long-pressing an icon is also how you move that icon around on your Android home screen. And having those two functions tied to the same action is just weird and confusing. To wit: If you long-press an icon that doesn't have App Shortcuts available, that icon will lift up and be ready to move -- as has always been the case. If the icon does have App Shortcuts available, though, long-pressing it will cause those options to appear. Moving your finger slightly will then cause them to vanish and the icon to lift up for shifting. It's hard to even explain in clear terms, which pretty much tells you all you need to know. It'd make far more sense for App Shortcuts to be available with a gesture, like a swipe up on the icon, instead of a long-press. This, again, is how Action Launcher handles its similar function by default. It's a far more natural way to access items embedded in a home screen icon, as an upward swipe is quicker and easier to perform than a long-press -- something better suited to tasks you access only on occasion -- and the action also fits more sensibly with the result (think about it: You're swiping up on the icon to make more options appear above it). Equally important, it'd eliminate the clumsy two-in-one function we're forced to contend with now. Long-pressing lifts an icon and lets you move it, as has always been the case; swiping up on an icon opens up additional related options above. Much easier to wrap your head around, no? To take things a step further, imagine if this notion were tied into the badge concept we discussed a moment ago. The indicator on an icon could be a small arrow pointing upward, thus visually showing you not only that extra options are available but also reminding you precisely how to reach them. See how this could all come together? Look: I get that Google's doing the "Hey, it's like 3D Touch!" thing -- and that there's some value in offering familiarity to users coming from a different platform. But these are early days for this sort of interaction. 3D Touch isn't exactly a firmly established or second-nature sort of system at this point, and Apple's way isn't necessarily the best way. Borrowing a concept from another platform is fine (and something practically every tech company, not least of all Apple, does) -- but Google has lots of room to build on this basic idea and improve it instead of just outright aping it. What we have now is a promising but rough-around-the-edges start that's limited mostly by its inspiration. 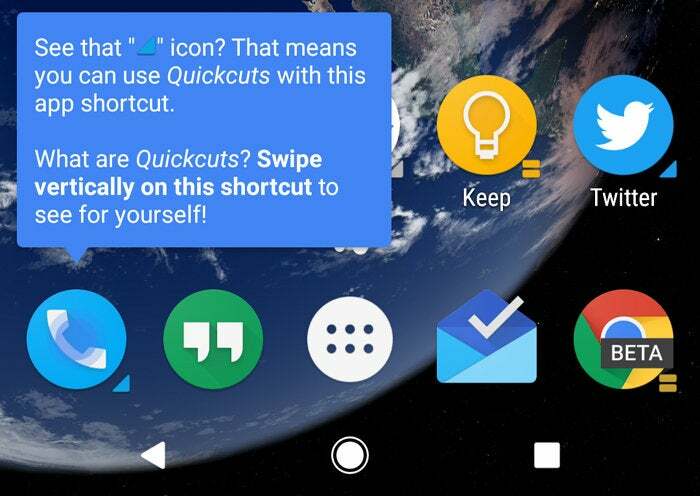 If we're lucky, Google will shift its take on App Shortcuts away from the Apple model and into its own original vision -- one that's more sensible, user-friendly, and well-suited to its platform.